The immune system serves as a defense system to eliminate foreign invaders like viruses, bacteria, and cancer. Yes, that makes logical sense, but where things get complicated is when your immune system makes mistakes and attacks your own body parts as if they were the enemy and that includes your thyroid gland. People who suffer with the symptoms of an underactive thyroid gland and test positive for antithyroid antibodies have a unique form of hypothyroidism known as autoimmune or Hashimoto’s thyroiditis. Autoimmune thyroiditis is one of the most common causes of hypothyroidism. It is a complex condition that involves such diverse biologic functions as genetics, diet, digestion, the immunologic defense system, and thyroid function. Understanding its origins, as well as the factors which modify its intensity, are the key to its clinical management. 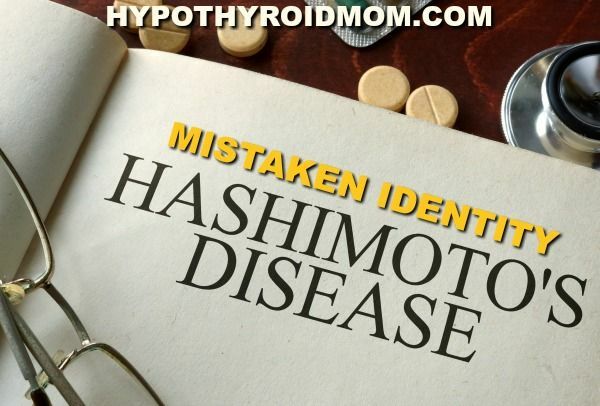 Hashimoto’s thyroiditis is the result of immunological mistaken identity. An individual’s immune system mistakes its own normal thyroid hormone producing cells as a potential biologic threat and produces antibodies which kill them as if they were a pathologic invader. It is important to understand what causes the immune system, which is normally the body’s defense system against foreign invaders that cause disease, to mistakenly attack its own healthy thyroid gland. Although we are largely unaware of it, our bodies are under constant attack by pathologic invaders. Our immune systems are in a state of constant alert to provide protection against invasion by pathogens such as viruses, bacteria and cancer cells. The immune defense system recognizes foreign organisms as being “non-self” because their surface proteins are structurally different from those found on the cells of the host (“self”). The body reacts to the surface proteins of foreign cells by producing specific antibodies which act much like heat seeking guided missiles, locking on to the cell surfaces of invaders and destroying them. Under normal conditions, antibodies are designed specifically to kill only cells that are recognized as being foreign or “non-self,” while sparing the body’s own cells, which are recognized as being “self.” As may occur in any complex biological system, an individual’s immune system can produce antibodies that attack their own body’s tissues because their own cells are erroneously recognized as being “non-self” or foreign. The immune system can inadvertently produce “anti-self” antibodies creating a pathologic condition called autoimmunity. Autoimmune reactions against the body’s own cells is the cause of a variety of medical conditions, examples of which are multiple sclerosis, lupus, and idiopathic thrombocytopenic purpura (ITP). Hashimoto’s thyroiditis is the most common medical condition caused by autoimmunity. WHAT CAUSES THE SYMPTOMS OF HASHIMOTO’S? hypothyroidism, such as fatigue, weight gain, depression, hair loss and brain fog are ultimately the result of an inappropriate immune reaction that kill off the body’s own thyroid cells, resulting in a reduction in the population of viable thyroid hormone producing cells. With a reduction in the population of thyroid hormone cells, there is a progressive decrease in hormone production, causing the symptoms of hypothyroidism to appear. Hyperthyroid symptoms, such as episodes of sweating, nervousness, rapid heart rate, palpitations and tremors may occur simultaneously with symptoms of hypothyroidism. When the cells that store thyroid hormone in the gland are attacked by antibodies, relatively large amounts of stored thyroid hormone are liberated into the blood stream, causing the periodic appearance of hyperthyroid symptoms. Eventually the hyperthyroid symptoms disappear, whereas the hypothyroid symptoms become progressively worse over time as more thyroid hormone producing cells are killed off. The adage “you are what you eat” is very relevant to the development of autoimmune hypothyroidism. Antithyroid antibody production may actually begin innocently enough with a healthy diet of natural plant based foods which happen to contain proteins called gluten and lectins. Gluten is a plant protein found in many grains, whereas lectin is a protein found in members of the bean, soy, and peanut families. Gluten is receiving more attention these days in the autoimmune world, but lectins not so much, yet they may play an important part of a patient’s thyroid story. In certain genetically predisposed individuals, gluten and lectins can irritate the walls of the digestive system, ultimately creating microscopic cracks in the intestinal walls ( “leaky gut”). This allows foreign proteins, which had previously been confined to gastrointestinal system, to find their way into the circulatory system. These foreign proteins are recognized by the immune system as being “non-self” since they are structurally different from an individual’s own unique proteins. Some of the foreign proteins that have gained access to the circulatory system may have some degree of molecular resemblance to the body’s own cell surface proteins. When antibodies are formed against foreign proteins that have molecular similarities to the proteins on the surface of the body’s own cells, the immune system can inadvertently produce antibodies that attack its own cells. This phenomenon is known as immunological cross reactivity. When antibodies are produced against a foreign cell surface protein similar in structure to the body’s own surface proteins, there may be a close enough fit for the antibody to attack the body’s own cells. Immunological cross reactivity ultimately results in the production of antibodies that bypass the immune system’s “ self vs. non-self “ surveillance system, allowing the body’s immune system to mistakenly kill its own normal cells. Thyroid hormone replacement therapy is a logical starting point for the treatment of symptoms because it compensates for the thyroid hormone deficit caused by the reduction in the number of hormone producing cells. I prefer to use natural desiccated thyroid medications which contain T3 for thyroid hormone replacement therapy. Because many individuals are unable to convert T4, a weak thyroid hormone, into adequate amounts of T3, the active form of the hormone molecule, they still are symptomatic even though their TSH levels are considered to be in the “normal”range. Synthetic T4 medications can be used only if the patient has T3 levels in the upper part of the range, indicating adequate conversion of T4 into T3. Although adequate medical treatment provides a substantial degree of symptomatic relief after arriving at an ideal dosage, as a stand alone therapy it may not completely resolve symptoms in a substantial number of individuals. In those instances in which there is a suboptimal clinical response to thyroid hormone replacement therapy, dietary treatment will be essential in order to achieve a successful therapeutic outcome. When a person has an autoimmune condition, their diet is of great importance because certain foods can trigger an increase in symptoms in individuals with Hashimoto’s thyroiditis. Foods consumed containing proteins similar to the ones that originally triggered the autoimmune condition cause the immune system to rapidly produce a massive antibody response. Because of the cross reactivity between the protein and thyroid cells, the antibodies produced attack the cells of the thyroid gland. Each time that food containing trigger proteins is eaten, the immune system goes into an antibody production mode and makes additional antibodies that attack the thyroid gland. Failure to eliminate foods containing the trigger protein from the diet causes continued destruction of the thyroid gland that produces a wide variety of unpleasant symptoms due to the continued autoimmune destruction of functioning thyroid cells. The body’s rapid and overwhelming immune response to repeated exposure to foreign proteins is called a secondary or anamnestic immune response. As the first line of defense against disease, the immune system stays prepared to crush foreign invaders by storing the blueprint for every antibody that it has ever produced in its memory banks, so as to be ready for rapid deployment. Because all antibodies produced by the immune system are stored in the body for an individual’s lifetime, antithyroid antibodies will never disappear. Unfortunately, the permanence of antithyroid antibodies necessitates life long medical and/or dietary therapy. The largest obstacle for adequate control of symptoms is the ability to discover one’s own unique dietary immunologic triggers. It is extremely difficult to determine which elements in an individual’s diet are activators of antithyroid immunologic attack. Allergy testing does not detect substances which can trigger an autoimmune response. Perhaps the best indicator of autoimmune dietary triggers is an awareness of foods that that provoke symptoms such as abdominal cramps, bloating, brain fog, fatigue, and a “hung over” feeling in the 24 to 36 hour period after ingestion. Something that was consumed contained a protein familiar to the immune system and triggered an autoimmune response. In my opinion, the best approach to dietary therapy is to work with a nutritionist who has a depth of knowledge and experience in working with individuals who have thyroid or other autoimmune issues. Nutritionists understand food on a molecular level and can create meal plans that are able to identify dietary elements that trigger symptoms. Once identified, foods containing trigger proteins can be eliminated from the diet, allowing autoimmunologic activity to subside. Nutritional therapy is also important to help hypothyroid individuals lose weight. Failure to lose weight, or even weight gain, despite a low calorie diet is a frequent issue that frustrates many hypothyroid individuals. The problem is that inadequate thyroid hormone levels within the cells cause low cellular metabolism. Calories are not burned effectively so weight is not lost, even on a starvation diet. Hypothyroid fat is unique. Try pulling your belly fat with your fingers, do you notice how unusually thick and heavy it feels and how difficult it is to pull from the body? In addition to using natural desiccated thyroid, which naturally contains T3 and T2 ( both are metabolic accelerators) for hormone replacement to speed up the metabolism, having a nutritionist act as a life coach who designs customized plans for enjoyable meals is a huge advantage. The “bottom line” is that a combination of adequate thyroid medication and the elimination of foods containing immunologic triggers is required for individuals with Hashimoto’s thyroiditis to have symptomatic relief. Dr. Hugh D. Melnick, M.D. is a reproductive endocrinologist who has been treating patients with hormonal and fertility problems since 1976. In 1983, Dr. Melnick founded Advanced Fertility Services, which was the first free standing In Vitro Fertilization Center in New York City and is still its medical director. Dr. Melnick’s vast clinical experience together with his own personal experience having hypothyroidism has enabled him to develop a unique approach to the diagnosis and treatment of hypothyroidism. During his many years of clinical practice, he has recognized how hypothyroidism can adversely affect every part of the human body, creating many unpleasant symptoms, which inevitably interfere with a productive and enjoyable quality of life. In addition to his fertility services, he works with thyroid patients at mythyroidmd.com. I have many of the symptoms listed but every time I get tested they say all my levels for thyroid are normal with the one test they do. What an excellent article! probably the first to make me truly understand this disease. I think it’s worth noting that a clinical dietitian may have more expertise than a nutritionalist. Though there’s always exceptions, most anyone can become a nutritionist whereas a dietitian requires a bachelor’s degree. I live in Lexington, Kentucky and am in need of a doctor who will take my Hashimoto disease seriously. Any suggestions would be greatly appreciated! So miserable with so many symptoms. My family doctor just doesn’t take me seriously.